ESTERO, FL - A-League Football has announced the hiring of Rachelle Quinn as Director of Sales and Marketing. Rachelle will focus on ticket and partnership sales along with community relations and marketing, and for A-League football, Lakeland Tarpons, Gulf Coast Fire, Sarasota BigCats, Manatee Neptunes, as well as other properties that A-League Sports owns and operates. She will work out of the Sarasota area office. "I'm pleased to welcome Rachelle to the A-League family. Having known her for the past 5 years, and her experience within professional sports I know she will be a huge asset to our company" said A-League President of Business Andrew Haines. Rachelle brings 25+ years of sales, marketing, networking, advertising, and public relations from various industries to the A-League organization along with the solid knowledge of both football and soccer. "I’m incredibly honored and looking forward to many new relationships within the local community while supporting some exciting arena football in the Florida Gulf Coast. I would like to thank Andrew Haines, President of Business and the A-League organization for their support and confidence in me," added Rachelle Quinn Director of Sales and Marketing. You will find Rachelle to be a well-rounded inspirational and innovative leader, networker, coach, and cheerleader with a proven track record of delivering superior performance results. Her genuine passion, coupled with a vivacious and effervescent personality, has given her demonstrated success in building client relationships, forming collaborative partnerships and in bringing a high-level of energy and success to any organization she has been involved with. 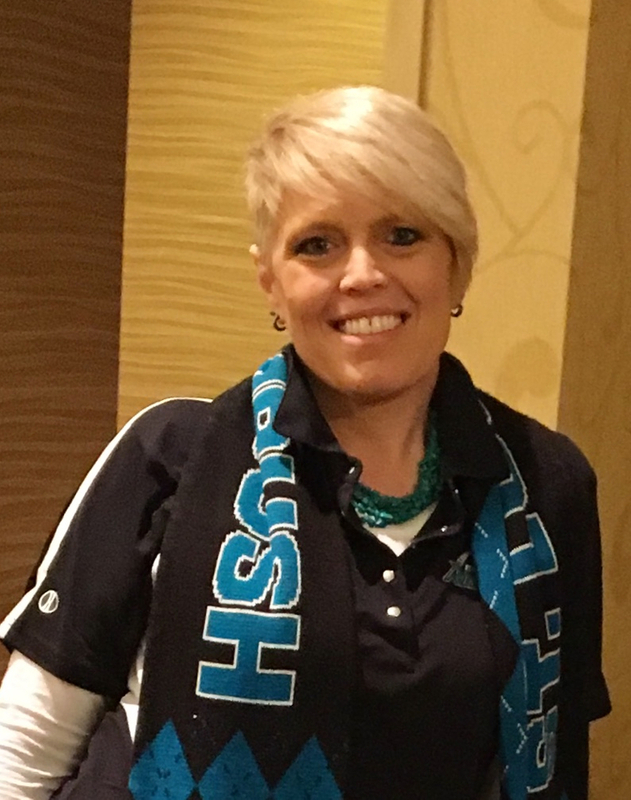 Rachelle has spent the last few years as an integral part of the St Louis Ambush MASL (Major Arena Soccer League) as an Account Executive-Chamber of Commerce Liaison. Accomplishments include developing new and future sponsor partnerships with local businesses as well as with numerous high school and club soccer teams in the area, ticket sales both individual and group along with assisting wherever needed in game-day operations. Her love affair for all thing’s sports began as a high school cheerleader/dancer and continued as a college cheerleader while attending Oklahoma Wesleyan University. Her leadership, knowledge and passion for sports grew immensely as she and her husband John, of 30 years, a semi professional soccer player from the island of Antigua, co-founded, managed and coached a very successful amateur men’s soccer team in Denver, Colorado for well over a decade. During this time Rachelle served as the CASL (Colorado Amateur Soccer League) Secretary, managing over 40 teams and being involved in supporting activities at all levels of the organization. Giving back to Oklahoma Wesleyan University, where they met John has served as President for the alumni association and currently serves on the Board of Trustees. John attributes much of his success to Rachelle being his biggest cheerleader and helpmate. Their family includes a daughter(28yrs) also a graduate of OKWU and a son(21yrs) who also plays soccer and currently attends Missouri State University. In supporting OKWU’s soccer program they formed many relationships especially with some of the international soccer players which led them to be a host family for Lucas Almeida, from Sao Paulo Brazil and a current St Louis Ambush MASL player, a forever part of their family. Rachelle’s community involvement and interests include being a vocal coach, church worship leader, and a volunteer for the Alzheimer’s Association. Her Team Ruthie fundraising is a major priority as Rachelle was her mother’s caregiver for 6yrs before she passed away at age 60yrs of Early-Onset Dementia. Rachelle is a new Floridian and empty nester, ready to network and build community relationships and develop sponsor partnerships as the new Director of Sales and Marketing for the A-League.